If you are planning a trip to West Maui and are searching for spacious accommodations with water views, take a look at the Westin Kaanapali Ocean Resort Villas. 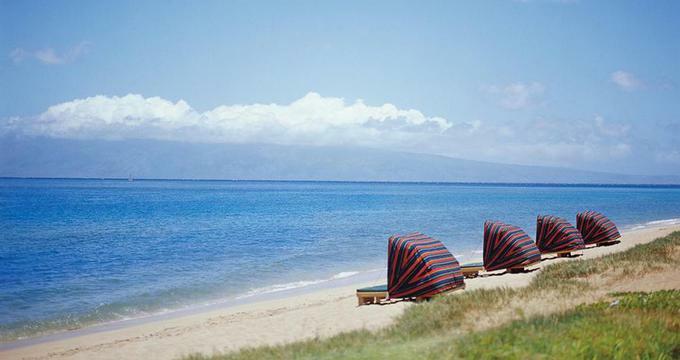 The resort is right on the famous Kaanapali Beach which is great for swimming, snorkeling and sunbathing. If you are looking for family activities, such as a visit to an aquarium, a submarine ride or a selection of hula shows, there is plenty to see and do in the area. There are also a number of luxury spas and golf courses. Spa Helani offers a varied menu of Hawaii-inspired treatments. The spa has 13 treatment rooms including the unique couples' 'tree house' suite. Studio and one-bedroom villas have kitchens, whirlpool tubs and separate showers. Studios are designed for 4, while the one-bedroom villas can accommodate up to 6 guests. Rates start at $540 per night. The hotel often offers packages and specials, including family promotions, especially in the off season.